This has truly been a year of change for Saudi Arabia with a series of surprising and unexpected announcements that followed one after the other. We almost don’t know where to start! In 2017 women in Saudi were allowed into sport stadiums for the first time in the Kingdom’s history, the ban is being lifted on women driving, tourist visa’s will soon be available for the Kingdom, cinemas are returning and numerous new developments are soon going to start laying their cornerstones to mention only a few things. This is however only the start of things, especially in regards to women’s rights. A couple of weeks ago a female Saudi Shoura member (formal advisory body of Saudi Arabia who can propose draft laws to the King as well as advise him on existing laws.) urged football clubs such as Al-Hilal, Al-Nassr, Al-Ittihad and Al-Ahli start women-only football teams. This request was made after it was announced that women will be able to enter three sport stadiums in Saudi as of 2018. Further to this, Iqbal Dandari also asked that days be allocated for women to exercise at major sports clubs and that professional sports clubs be created for women. On Saturday, November 11th, the Kingdom hosted their first-ever official women’s basketball tournament. The basketball tournament was open to women only and teams from Jeddah United, Dar Al Hekma University, University of Business and Technology, DFAC, Braves and Shoot competed against each other for the title of champion. This tournament aimed to help spread awareness of and raise funds for breast cancer and encourage more Saudi women to participate in sports. 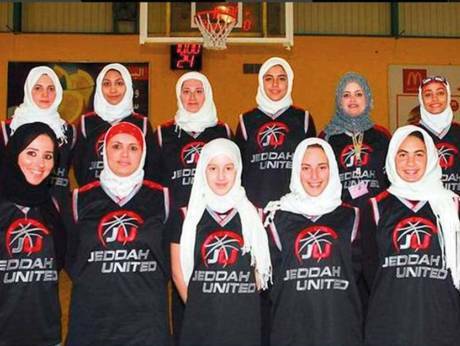 This might have been the first women’s tournament in Saudi Arabia, but it was definitely not the last! Earlier today it was also announced that Saudi’s first formal football tournament on Wednesday. The four day tournament will be exclusive to women only with six teams competing against each other at a private school for the trophy. According to Saudi Daily Al Watan, the football teams are looking to gain formal recognition from the General Sports Authority that oversees sporting events in the Kingdom so that they can start partaking in competitions in the Gulf Cooperation Council (GCC), the Arab region and the world. 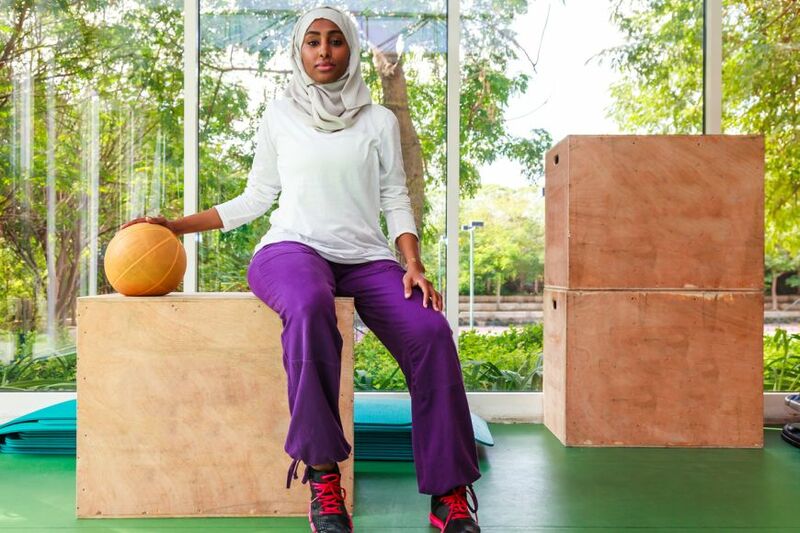 More and more women are starting to become interested in sports in Saudi Arabia. In 2012 Saudi allowed women from the Kingdom for the first time in history to compete in the Olympic Games. More recently numerous female figures have been seen encouraging other women to start cycling and participating in other sports. With every small step that women in Saudi take, they gain more ground with their human rights and being able to take control of their own lives. These last couple of announcements have actually been huge leaps for them and we know the world is cheering them on every step of the way.